With the disruption of smartphones, banks have been turned upside-down and today, they are the ones searching for clients, while users rarely visit traditional branches anymore. This means that, if Banks don’t act fast, they’ll keep losing relationships with customers. Consumers are increasingly looking for digital banking services provided by third-party tech firms. This is deteriorating the relationships between banks and their customers, and banks are losing out on branding and cross-selling opportunities. But not all are bad news for banking, recent studies have revealed that almost 50% of customers react positively to location-based communications, which means that they are expecting faster and more personalized services. Mobile app marketing uses location technology to provide customers with the right digital content based on their proximity, behavior, and preferences through smartphones at the most relevant moment. According to a Business Intelligence Report, the behaviors and preferences of millennials, which makes up the largest share of the employed population (34%), will shape the future of the bank as well as the relationship between the bank and the customer. Bank branches need to abandon “the old way” of doing business if they want to survive in a digital era. Millennials are looking for a more personalized approach and customization, causing banks to adjust their business strategies. Let's take a look at 3 technologies that mobile banking industry can consider to use in order to improve customer experience, sales and operations. 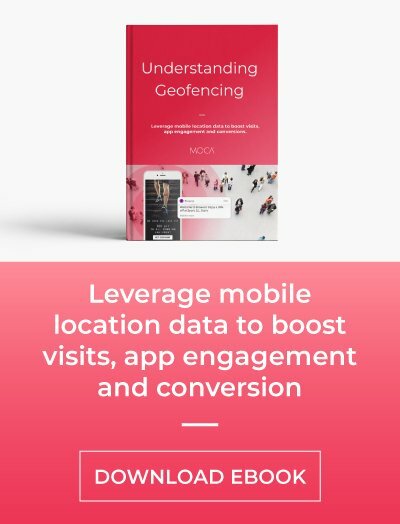 Geofencing: Geofencing is an example of a real-time location-based marketing tactic that uses geolocation data to target users within an established geographic area and delivers content based on where they are or on what locations they have previously visited. From fraud detection to improving customer service, there is plenty of potentials for geofencing to transform Banking as we know it.  Beacon technology: The beacon technology adds an extra dimension to location-based marketing. A beacon is a small Bluetooth low-energy sensor that can be placed anywhere and is detectable by nearby mobile devices allowing mobile users to receive proximity-based experiences. For instance, Banks can use this technology to recognize a customer the moment they walk into the branch, and immediately come up with the necessary data to make the most suitable offer in a face to face interaction, or can better educate them by sending highly personalized and targeted content. Wi-Fi devices: this location technology can be used to trigger proximity notifications, meaning that Wi-Fi access points can also be used as beacons i.e. the Bank can detect when a customer enters or leaves the Wi-Fi signal area and trigger actions. For instance, a Bank branch that already has Wi-Fi infrastructure could deliver timely digital content using mobile app and without deploying additional hardware. 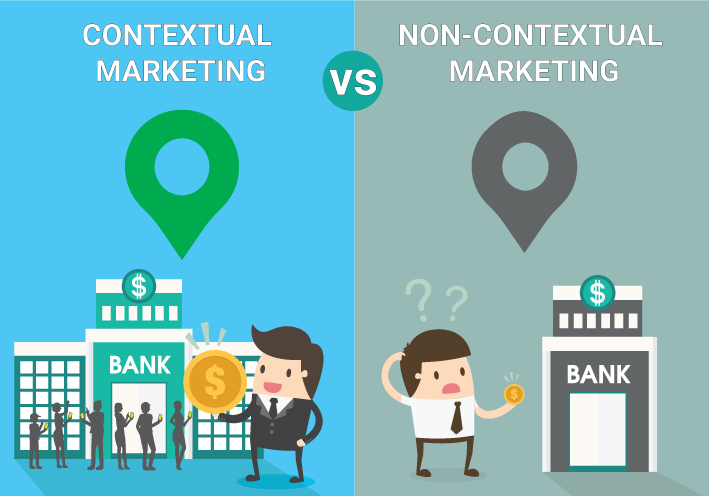 Who is using location technology for Banking? Barclays Sheffield, as one of Barclays’ branches, tested its own Beacon service called Barclays Access, which notified staff when a customer with an accessibility need enters the branch. Visitors were able to opt-in to the service by supplying information about their requirements via mobile app without needing to state their requirements when they did some banking interaction. Barclays Access also allowed customers to upload a photo, allowing staff to identify them as soon as they entered the premises which made the customers interact easily with the staff if they found any difficulties. The benefits to Banks and retailers go beyond extending credit. US Bank, is already using geofencing to verify customers’ locations against card transactions. By matching the location, US Bank can ensure that transactions on customers’ cards are approved and reduce the risk of fraud. City Bank is using beacon technology in some of its branches in New York City. The Bank gives customers cardless entry into ATM lobbies after hours using their iPhone or iWatch. Citi customers who opt in can also receive location-based communications via their smartphones, promoting special offers and events. Using beacons or Wi-Fi beacons, customers who arrive at a branch can receive a personalized welcome notification, providing customers with their last transaction details, available balance, and other financial services. The Bank can also assign a queue number to the customer and when their turn arrives, the customer can go and interact with the Bank agent without the inconvenient of standing in the queue. 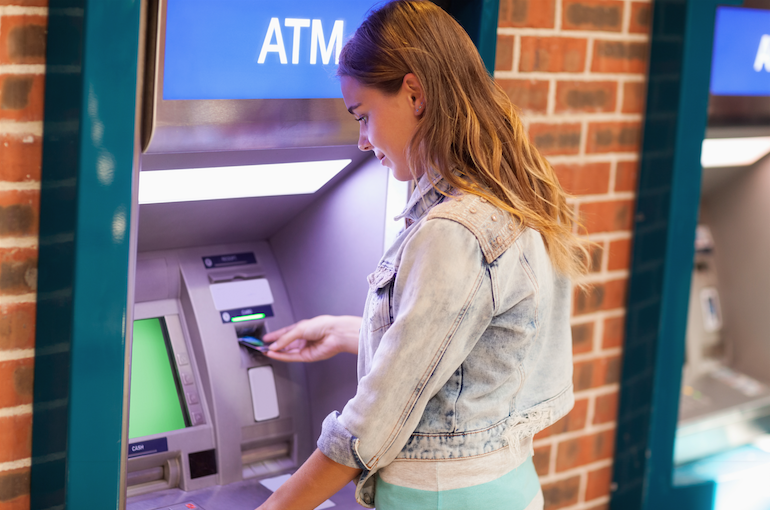 ATM’s can directly interact with the customers using beacons or geofencing. Location technology allows Banks to provide the customer with the information regarding the nearest ATM or Bank branch, transfer or withdrawing funds without the use of debit or credit cards, check the balance availability all with just using the mobile app. By using location-based technologies such as beacons or geofencing, Banks can deliver highly personalized digital products based on customer transaction activity, account ownership, and location insights when customers visit physical branches. For example, they can send a suggestion for increasing the credit card limit to a customer who needs it, providing benefit to the client while at the same time increasing customer loyalty. It will be also used to give customers access to relevant offers as they walk down the road. For example, if a customer buys in a partner retail store an expensive item, the Bank can send a proposal for new insurance products. 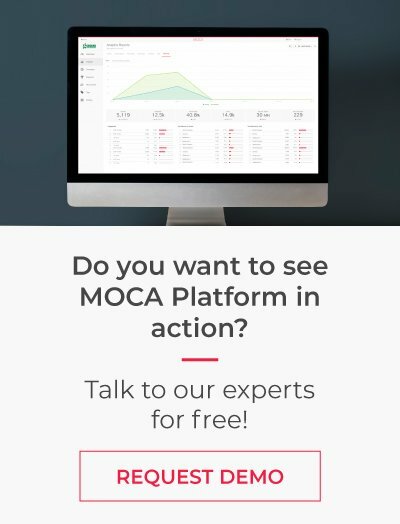 Using Bluetooth beacons or Wi-based analytics, Banks will be able to understand which branches are the most visited, what are the busiest days and times, cross-channel attribution tracking, how long on average are customers spending in branches and what kind of transactions customers are doing. This data can help Banks to optimize the branch layout and improve the overall customer experience. When customers leave or visit a branch, a beacon/ Wi-Fi beacon enabled apps could show them a quick survey to share feedback about products and services. It is clear that Banking industry needs to leverage location-based technologies to transform the banking services and provide a more personal, immersive and relevant customer experience.